Thinking about promotion? Job application? Career change? But feeling lost, stuck or confused. Get crystal clear in your career thinking so that you have the confidence to make decisions and take action. Taking action gets results. Click <<here>>. I run regular online classes. Click <<here>> to find out more. 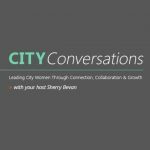 Leading City Women through connection, collaboration and growth. Next event: Spring 2019 in London EC4. Join the Priority notification list here. The next one will be in Spring 2019. Sign up here. Remember, this one is absolutely free! The sessions are recorded and available afterwards (I know life gets busy as a Mum). Join me here to get notified about my Facebook Lives. Don’t miss future classes – sign up to The Confidence Guide published weekly here and be among the first to know about the next one.